What can be said about The Bubblemen that Christchurch and the South Island doesn’t already know? The go-to covers band for the last twenty years was founded by Irish import and Christchurch music mogul Mike Kane back in the early nineties, and its legend continues to grow. Several strong and professional lineups of three, four and five piece bands over the years have garnered a solid reputation resulting in the current lineup which has received a remarkable following by established bars, corporate functions and the pub and club scene for the past 6 years whilst enduring the recent earthquakes which has changed our city. The present line up is a powerhouse 3 piece, with Christchurch Frontman & guitar legend Mike Arthur (Guitar/Vocals), Simon Nunn (Drumset/Vocals) and Joe Vaise(Bass Guitar/Vocals) occasionally joined by Tim Driver (Keyboards). 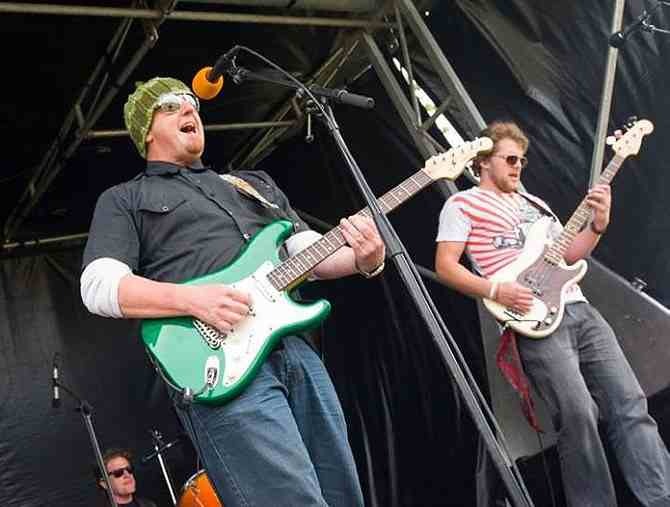 With a large repertoire of great music from the 50’s, 60’s and 70’s all the way through to recent hits, they can cater to most musical tastes with a fun and original attitude, coming to rock the house! Be it your next corporate function, wedding, birthday, small private function or the local pub, you can rely on The Bubblemen to create the best time for you and your friends.